Afterhours ‎– Hai Paura Del Buio? Recorded Valentine’s Day 2013 at the Dragens Hule club in Copenhagen, Denmark, this live set consists of the entire concert in the order it was played. On this night the OSC lineup was Nick (The Univerzarls) and Nicklas (Papir) on guitar, Mikael (SKL, Agusa) played guitar on two tracks, Pär (Sgt. 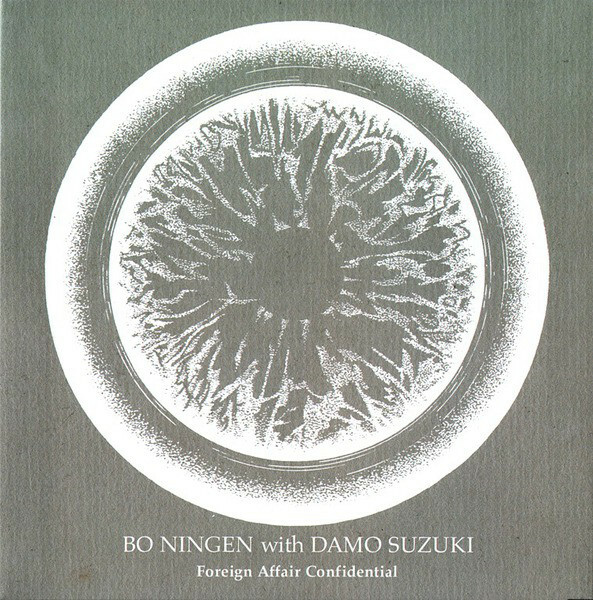 Sunshine, Carpet Knights) on bass, Birk on drums, Dr Space, Mogens and Rasmus on keyboards and synths, and the great Damo Suzuki on vocals. 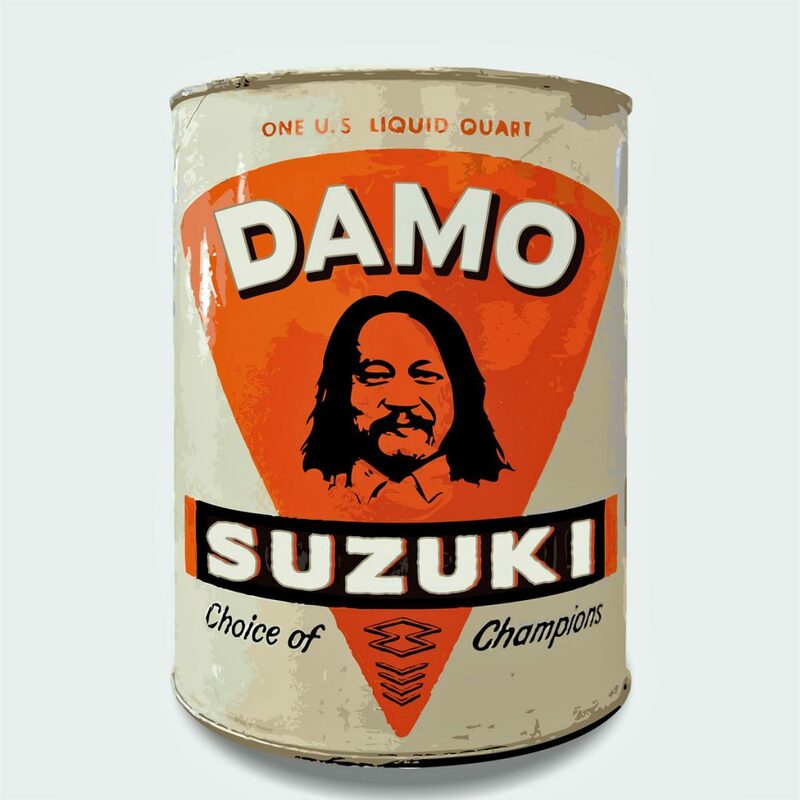 Krautrock pioneer Damo Suzuki, vocalist of Can, has influenced generations of creative musicians. This enigmatic singer has continued the journey, traveling the globe to perform improvised music with a unique collection of musicians. The lucky few that perform with him he calls his Network or Sound Carriers. Canadian Sound Carriers have included members of Black Mountain, Broken Social Scene and Do Make Say Think, among many others. On a warm night in June he set down in Nanaimo, BC for an epic night of long heavy space rock jams in front of a rabid sold-out crowd at the historic Globe Hotel. The result is a sprawling, transcendent, seamless soundscape. Damo’s vocalizing feeds off the energy and dynamics of the band. A strangely hypnotic and melodic repetition of phrases and countered with low gutteral growls delivered in his own language. The legacy of Can is always evident. The auditory capture was superb and the result obvious. It must be shared. David Read of Vinyl Record Guru immediately decided to release it as a co-production of NoiseAgonyMayhem Records and Lance Rock Records. The recording captures Damo’s memorable performance last June with a psychedelic rock orchestra assembled from Nanaimo’s thriving independent music scene featuring members of Clumsy Lovers, Colliding Canyons, Moths & Locusts, and Wolf Parade. Two synth stations, fuzzed-out guitars and three drummers coalesce behind Damo’s commanding presence. The physical edition of Seven Potatoes is available on extremely limited beautiful black vinyl records and can be ordered via Bandcamp (http://sevenpotatoes.bandcamp.com). Recorded live at Centre d’art Neuchâtel, September 21 2012, for the opening of the exhibition Superamas Phase 2: Cerveau Morille. „In the year 2010, I became 60 years old. 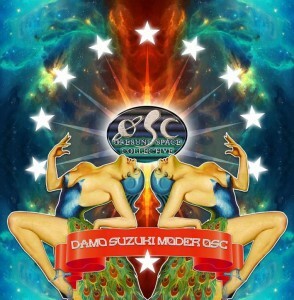 To celebrate 60 is something special for Japanese as it is 5 x 12 zodiac. At least once in my life, I wished to know more about my native country, so I present myself for my 60th birth year: I spend around 3 months travel through the country I was born and grow up before I left to Sweden. During this trip I met Simon and Bettina in Osaka at one of my Network performances. 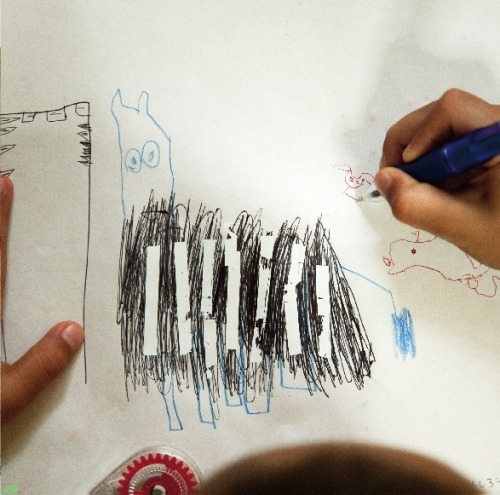 After while, Simon contacted me, he and Bettina, both are art students, found interest to do an art project that zoom into Damo Suzuki’s life before joined to that German band. In 2012, I went back to Gräsmark for first time since 40 years. There I met Gittan, her sister and few other people knowing me from the end of 60’s when I lived there. Sadly I couldn’t meet Helga, my Swedish mother, she died few years ago. All my memories came back like it all happened yesterday. Suddenly my body was covered by time and space of that period of my life. When Damo Suzuki came to Europe for the first time, he lived in a village in Sweden. In the early Seventies, he went to Germany, where he met members of the German band and became the lead singer of them for threer years. This book is a biographical photo book with private and yet unpublished photos from the early Seventies and today. It also contains excerpts from private letters, lyrics, drawings and emails by Damo Suzuki and newspaper articles about him. 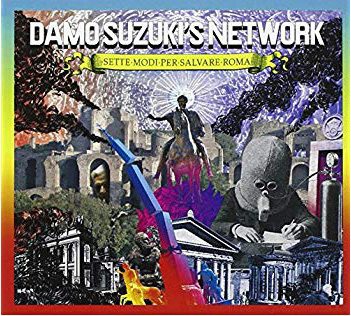 Since Damo Suzuki decided not to do studio work anymore, but rather perform with his Network, there are no recordings available anymore. 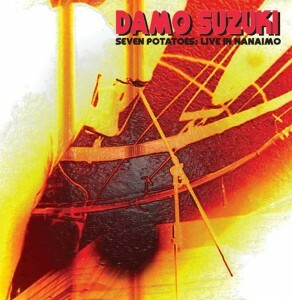 This live recording of a Damo Suzuki show, recorded in Stockholm in February 2013, is a collector’s item: The box including the photo book and a 12inch vinyl is limited to 500 and only available at the Clouds Hill Online Shop. 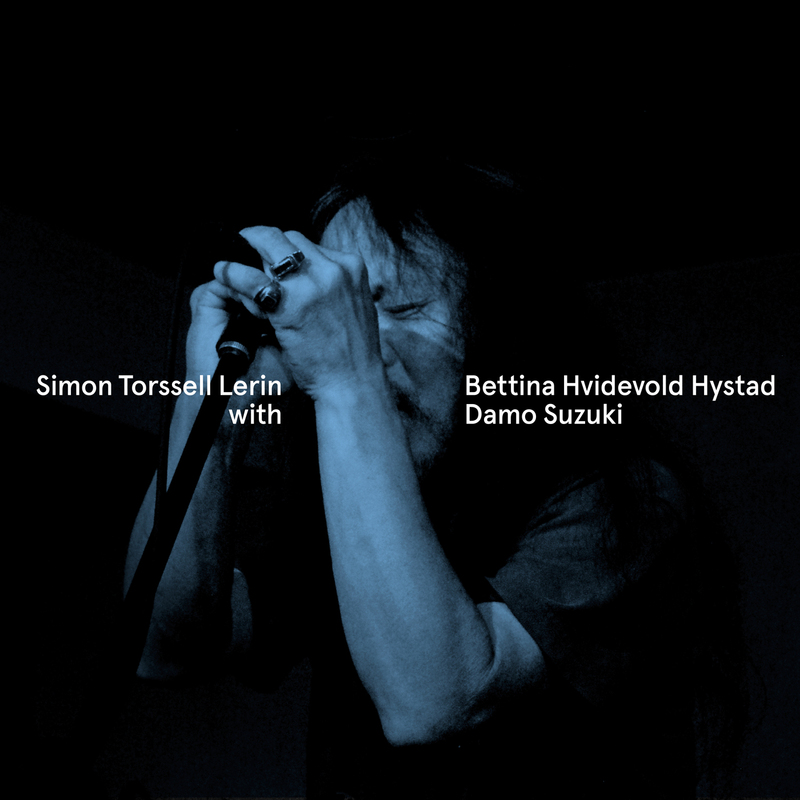 60pages photo book with emails, letters, lyrics and drawings by Damo Suzuki and newspaper articles + live recording of Damo Suzuki with Simon Torssell Lerin and Bettina Hvidevold Hystad live at Fylkingen Stockholm on February 11th 2013, packed in a black telesope box. Please note: the shipment of this product starts on December 16th 2013. Damo Suzuki & Popsysze – Live At Spacefest!